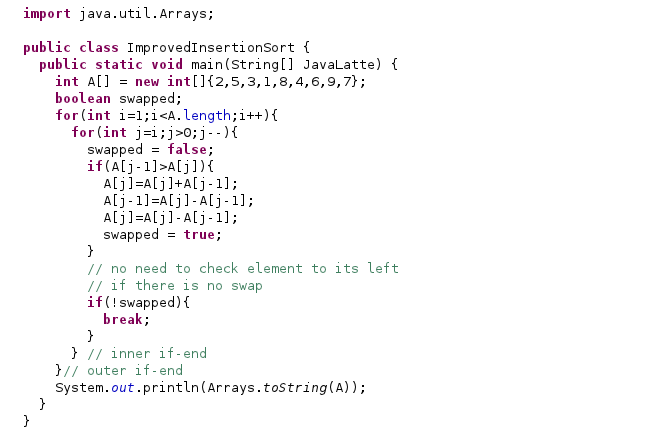 Insertion sort is a simple sorting algorithm that builds the final sorted array (or list) one item at a time. It’s much less efficient on large list. We divide the card as sorted and unsorted by placing a marker after the first card. Select the first unsorted card. Swap this card to left until it arrives at the correct sorted position. Now we divide this into two portion one is sorted and another is unsorted (step 2). 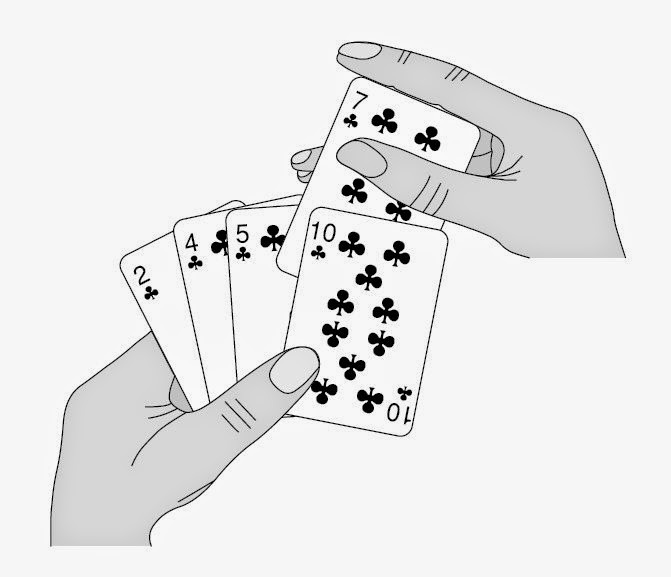 Here we select the first unsorted card i.e., 8 (step 4). Since 8 is greater than 7 so we do not need to swap the card (step 5). Since 5 is still less than 7 we swap again until it is corrected sorted position. Now we put 2 in the right position. Now we put 4 in the right position. Now we put 6 in the right position. Now we put 3 in the right position. 2 3 4 5 6 7 8|Here is out sorted output. Improved Version : If element are already sorted to its left means no swap is required then we can simply comes out of the loop. 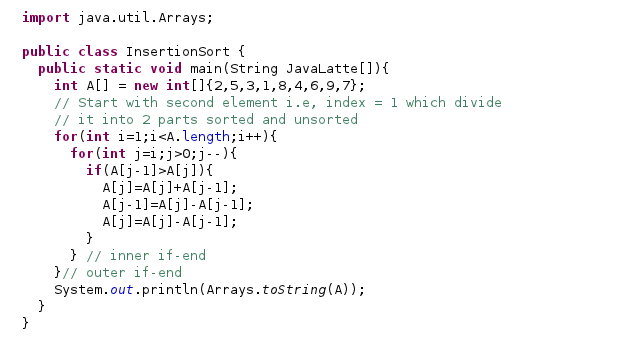 Average Case Complexity : O(n^2) that why which makes insertion sort impractical for sorting large arrays. Best Case Complexity : O(n) When is array is already sorted. During each iteration, the first remaining element of the input is only compared with the right-most element of the sorted subsection of the array.